Don’t you want to be the person who dances like no one’s watching? Or be the one who always knows how to Keep Calm & Carry On? I want laughter to be easy and plentiful and the music to be loud and up tempo. But most days are working days. Maintenance days. Unglamorous. Challenging. Routine. I think accepting the normal days is critical to appreciating the days of music and merriment. 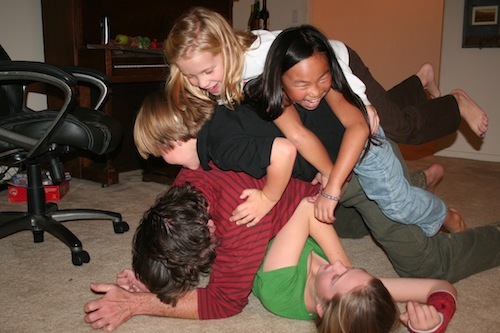 When our expectation is that living is like a wrestling match, I think the challenges feel appropriate. Living life well IS more like a wrestling match; it’s a worthy fight where we should engage, but the mental preparation is different when we expect a battle rather than a dance. How do you mentally prepare for your day?